This year Christmas has been all about austerity – with the Lidl class festive season dominating the headlines. 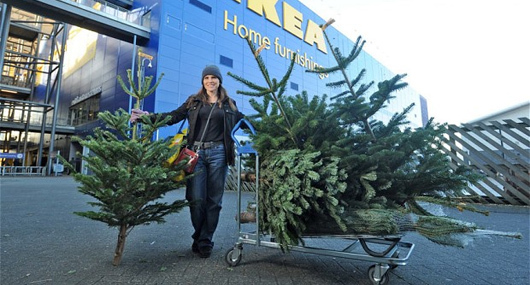 So when we found out that IKEA was selling top of the range Christmas trees for just £25 – and throwing in a £20 voucher to go with every purchase – it was a story too good to pass up. Some swift mystery shopping later, we’d established that, on average, you’d spend £50 elsewhere for an equivalent tree – and that some punters were shelling out £80 for a spot of spruce – we hit the media. Coverage flowed, with belters in the Daily Telegraph (a page three humdinger, no less), the Daily Mail, Daily Mirror, Metro, Daily Star, Evening Standard, MEN and a Harry Wallop “Christmas for less” half-page feature in the Telegraph a couple of days later.